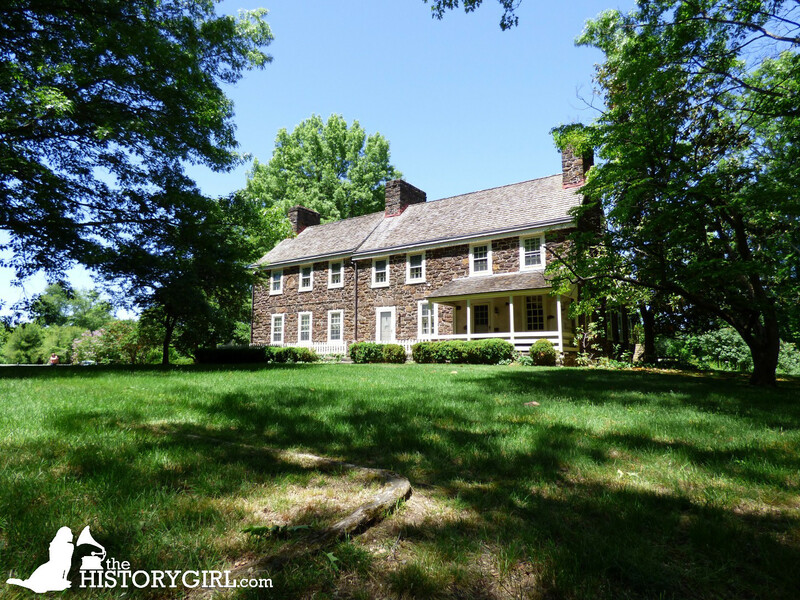 NJ Weekend Historical Happenings: 8/15/15 - 8/16/15 ~ The History Girl! Did you know that dinner in the 18th century was held around 3:00 pm? Visit the Wick House to see colonial cooking, learn what was typically eaten in the 1770s, and why the largest meal was early afternoon. Programs at the Wick House at Jockey Hollow, within Morristown National Historical Park, 580 Jockey Hollow Road (approximate), Morristown, NJ. Cost: Free. For more information, call 973-543-4030 or visit www.nps.gov/morr. Sweet Corn and summer go together at Historic Walnford! The 3rd Annual Sweet Corn Festival will include live music, corn themed crafts and activities for children, a climbing wall, and more. Admission and parking are free. A once-in-a-lifetime opportunity for members of the public to explore the treasures of park's archives, which span the years 15,000 B.C. to the 20th century and includes 500,000 objects. This behind-the-ropes, curator-led tour of the archives is in partnership with the Morris County Tourism Bureau. The tour will begin at 10:00 am. Tour size is limited to 30. Cost: $20.00, which includes admission to the park for the day. Reservations are required. Contact the Morris County Tourism Bureau at morristourism.org or 973-631-5151. This tour will take place at the Washington's Headquarters Museum, located within Morristown National Historical Park, 30 Washington Place, Morristown, NJ. For more information about Morristown National Historical Park, call 973-539-2016 ext. 210 or visit www.nps.gov/morr. On Saturday, watch the nimble fingers of the Lost Art Lacers of North Jersey as they perform the centuries-old arts of bobbin lace-making and tatting. Try your hand at bobbin lacing. Cost: FREE but donations appreciated. The Cooper Gristmill is located at 66 Route 513, Chester, NJ. For more information, call 908-879-5463 or visit www.morrisparks.net. Theorem painting, or painting with the aid of stencils, was a popular form of folk art in the 18th and 19th centuries. In this hands-on class, students will learn the history of one of America's little-known art forms and have the opportunity to create their own painted pot holders. Ages 9 and up. Presented by Margareta Warlick on Saturday at 1:00 pm. Program is free and open to the public. It will take place at the Burlington County Lyceum, 307 High Street, Mount Holly, NJ. Pre-registration is requested. For more information and to register, call 609-267-7111, or e-mail bclhns@bcls.lib.nj.us. Howell Living History Farm invites the public to celebrate the coming harvest season by unearthing a special crop of potatoes that will be donated to the Greater Mercer Food Cooperative. The potatoes were planted in April by Howell Farm visitors, volunteers and interns. Visitors of all ages can join the harvest crew, for as long or short a time as they like. Experience is not necessary. The crew will be led by farm staff, who will use horses or oxen to pull a special plow called a "potato lifter". Visitors can help by gathering potatoes unearthed by the lifter, and by turning the crank of the Farm's "potato grader" to sort the potatoes. Lemonade and cookies will be served to field workers throughout the day. Howell Living Farm represents typical farm life between 1890 and 1910. The farm is operated by the Mercer County Parks Commission. It is located at 70 Wooden's Lane, Lambertville, NJ. For more information. call 609-737-3299 or visit www.howellfarm.com. Cruise into Historic Cold Spring Village for the popular Annual Classic and Antique Car Show. The event will be held Saturday and Sunday and cars will be on display each day from 10:00 am - 3:00 pm. Vintage automobiles and trucks will park among the shaded paths and historic buildings. This event is generously sponsored by Kindle Auto Plaza. See beautifully restored and preserved vehicles, from muscle cars to light trucks, from the 1910s to the 1980s parked along the Village’s tree-lined, shell-paved lanes. On Saturday, members of the Jersey Cape Region AACA will be showing their antique vehicles, while hotrods and other classics will be presented by KB Productions and the Greater Wildwood Hotel & Motel Association on Sunday. The village's historic buildings will be open during regular Village hours, from 10:00 am - 4:30 pm, with interpreters in period clothing teaching guests about the crafts, trades and lifestyles of Early America. Historic Cold Spring Village is located at 720 Route 9, three miles north of Cape May City and four miles south of Rio Grande. Admission during the season is $12 for adults and $10 for children ages 3 to 12. Children under 3 are admitted free. Unlimited free admission is available with Village membership. The Village Nature Trail at Bradner's Run is open to the public for free self-guided tours. For more information, call 609-898-2300, ext. 10 or visit www.hcsv.org. The “A Child’s Life” tour was developed for children and is all about the Hewitt children. The program uses first-hand accounts to help younger visitors understand what it was like to spend summers at the Ringwood estate 150 years ago. If you thought living without modern entertainment like television, DVDs, and computers was boring, think again! Designed to be fun and amusing, these tours are great for families and visitors of all ages! Like any family, the Hewitt children were full of energy. With 22,000 acres of property, they could often be found fishing, hunting, swimming, and horseback riding. The large, rambling mansion provided plenty of indoor fun with activities like hide-and-go-seek and sliding down the staircase banisters. In addition, Eddie and his brother Cooper were getting into all sorts of trouble at their summer home, going on adventures and playing many practical jokes on their guests. So, if you’d like to hear about the family’s pet bear, or how the Hewitt boys played a prank using a raccoon and a suitcase, this tour is for you! “A Child’s Life” tour is approximately 45 minutes long and takes visitors through the historic house while these amusing stories are being told. All thirty of the rooms open to the public are shown, but the tour proceeds at a faster, more energetic pace. Scavenger hunts are provided to encourage visitors to look for some of the unusual features in the manor. At the end of the tour, children and adults are invited to play with reproduction 18th and 19th century toys on the front lawn of Ringwood Manor. “A Child’s Life” tours will be offered to the public at 1:00 pm every Saturday and Sunday through October 25th. Tours are $3 for adults, $1 for children ages 6-12, and children 5 and under are free. Ringwood Manor is located at 1304 Sloatsburg Road, Ringwood, NJ, within Ringwood State Park. For more information, call 973-962-2240 or visit www.ringwoodmanor.org. The Historical Society of Old Randolph (HSOR) invites one and all to attend its Gizmos, Gadgets, and Peach Festival at the Randolph Museum on Saturday from 1:00 - 4:00 pm. The museum is located on Millbrook Avenue at the entrance to Freedom Park, between Carrell and Schoolhouse roads. This hands-on event will allow visitors to see gizmos and gadgets from the past in action. In addition, the HSOR is getting out the punch bowl and everyone is invited to enjoy peaches and cream and other light refreshment! The tree-ripened peaches come from Sun High Orchards, one of Randolph Township’s preserved farm lands. For more information, call 973-989-7095 or visit www.randolphnj.org. Gardens were important to Colonial life. Butterflies are important to gardens. Walk through Peachfield's Colonial Revival and butterfly gardens and learn the importance of gardens in Colonial life and the need for butterflies and other insects in the garden. Tours of the property are available at 12:00 noon and 2:00 pm. This site will be open from 12:00 noon - 3:00 pm. Free admission. Free-will donations appreciated. Reservations are recommended. Peachfield is located at 180 Burrs Road, Westampton, NJ. For more information and to register, call 609-267-6996, e-mail colonialdamesnj@comcast.net, or visit www.colonialdamesnj.org. On Sunday at 1:00 pm, attend the Walpack Historical Society will present Walpack Bend's Significance - Church, Fort, and Cemetery Sites, and Experiences of Boarders at the Rosenkrans Farmhouse in the 1940s. The meeting will take place at the Walpack M.E. Church, Walpack Center, Sussex County, NJ within the Delaware Water Gap National Recreation Area. This event is free and the public is welcome. For more information call 973-948-4903 or visit www.walpackhistory.org. The Montague Association for the Restoration of Community History (MARCH) will open the circa 1790 Foster-Armstrong House on River Road and the Nelden-Roberts Stonehouse, at 501 Route 206 for Sunday afternoon tours between 1:00 and 4:00 pm. Both are situated within the Delaware Water Gap National Recreation Area in Montague, NJ and were originally part of the Tocks Island Dam acquisitions. These two sites are utilized by MARCH and portray the area's heritage. On Sunday, enjoy a chair caning demonstration at the Foster-Armstrong House by Richard Jones. Ask questions about chair seat repairs and see caning examples on display. At the Nelden-Roberts Stonehouse on Route 206, the Minisink Garden Club will conduct tours of the traditional herb garden they maintain. For more information, call 973-293-3106 or visit www.facebook.com/MontagueNJHistory. Admission: $7 per adult; $4 children ages 6 to 12; free for children age 5 and under. Tickets are sold at Bainbridge House, 158 Nassau Street, Princeton, NJ starting at 12:00 noon. Tour begins at 2:00 pm and ends at 4:00 pm. Space is limited. For more information, call 609-921-6748 or visit www.princetonhistory.org. On Sunday at 1:00 pm, Landa Freeman, Janet Wedge, and Louise North will give a PowerPoint presentation that will draw from two books: In the Words of Women The Revolutionary War and the Birth of the Nation, 1764-1799 and Travel Journals of Henrietta Marchant Liston North America and Lower Canada 1796-1800. The talk will concentrate on what life was like for women, both during the War and afterwards. Mr. and Mrs. Washington will have cameo appearances. A Q&A will immediately follow the presentation. There will also be book sales of In the Words of Women and a book signing will take place afterwards. Cost: Free. This program will take place at the Washington's Headquarters Museum Auditorium, located within Morristown National Historical Park, 30 Washington Place, Morristown, NJ. For more information, call 973-539-2016 ext. 210 or visit www.nps.gov/morr. Learn about the life of a common soldier during the winter encampment at Jockey Hollow and see the clothing, equipment, and weapons that a soldier used as you visit the replica soldier huts of the Pennsylvania Line. Stop by the Soldier Huts from 1:30 - 4:00 pm within Morristown National Historical Park. Cost: Free. For more information, call 973-539-2016 ext. 210 or visit www.nps.gov/morr. The Matawan Historical Society will holding an open house on Sunday from 2:00 - 4:00 pm at the Burrowes Mansion located at 94 Main Street, Matawan, NJ. Learn how this circa 1723 home and its owners played a role in the Revolutionary War. Suggested admission: $5 per person. For more information call 732-566-5605 or visit www.burrowesmansion.org. The Historic Village at Allaire is proud to present its 20th Annual Antique Rolling Iron Auto Show on Sunday from 8:00 am - 3:00 pm. Antique vehicles will be coming in from all over the tri-state area. All vehicles manufactured in 1990 and prior years are eligible to be in the show. On display will be unique, antique vehicles from the area; many of these vehicles you may not see at other shows. Trophies will be awarded to vehicles in many classes including, foreign cars, American cars, custom cars, modified cars,street rods, trucks, modified trucks, and antique motorcycles. A State parking fee of $5.00 is in effect for spectator cars. Show vehicles are $20, to register the day of the show. Registration is at 8:00 am, and trophies will be awarded at 3:00 pm. This event is not just a car show; it's a day of family fun for the history buff, the car enthusiast, the train fan, and the nature lover. All visitors are encouraged to visit the Historic Village at Allaire. Walk through the buildings, shop at the General Store, and learn about life in the 1830s. This is a terrific outing for the whole family all within beautiful Allaire State Park. There is a picnic area, hiking trails and you can even take a train ride aboard the Pine Creek Railroad. Children will love fishing in the pond and looking at the authentically dressed museum interpreters, as well as visiting the carpenters, and blacksmith shops, where they can see demonstrations of their crafts. The Village tells a story of life in Allaire 176 years ago, a creative learning experience for all to see in the restored 1830's iron manufacturing community. Did you ever wonder what all that “stuff” is placed around the grounds at Ringwood Manor? What about all those other buildings on the property? What were they used for? If you have ever been curious about the estate at Ringwood Manor, this tour is for you! The 2 hour guided walking tour will take visitors around the main property at Ringwood Manor, discussing the historic objects, the planned gardens, and landscape features, the out-buildings, and the cemetery. Historic photographs of the property will also be shown. These free tours meet at 2:00 pm in front of Ringwood Manor every Sunday from June 7 - October 25. It is advised that participants wear walking or hiking shoes, dress appropriately for the weather, and bring bug spray and sunblock. Steady rain cancels. No reservations necessary. For more information and to call ahead to confirm a tour, call 973-962-2240. Ringwood Manor is located at 1304 Sloatsburg Road, Ringwood, NJ, within Ringwood State Park. For more information, call 973-962-2240 or visit www.ringwoodmanor.org. In conjunction with the Mayor and Township Committee of Morris Township and The Historic Preservation Commission of Morris Township, The Morristown and Morris Township Library is hosting an exhibit celebrating the 275th anniversary of the founding of Morris Township. The exhibit will be on display in the second floor, F.M. Kirby Gallery from through August 16, 2015. The exhibit is also supported by the Friends of the Morristown & Morris Township Library. The colonial legislature of New Jersey created Morris County on March 15, 1739 naming the county, for the Governor of New Jersey, Colonel Lewis Morris (for which the Township and Morristown would later also be named). The county was initially divided into three townships in 1740: Pequannock, Hanover, and Morris. Morris Township originally took up half of the county but has been subdivided many times since and now encompasses 15.45 square miles. In its first two hundred years, the Township was primarily farmland but this changed drastically over time as much of New Jersey morphed into the “urban” designation tagged currently with the U.S. Census Bureau. The anniversary exhibit will focus not only on Morris Township’s agricultural past, but also its part in the American Revolution and its fame as home to Gilded Age, New York City millionaire mansions. The exhibition will also examine the history of the Township’s fire and police departments, The Seeing Eye, the College of Saint Elizabeth and other institutions as well as famous Township residents. The Morristown and Morris Township Library is located at 1 Miller Rd, Morristown, NJ. For more information, call the Library’s North Jersey History & Genealogy Center at 973-538-3473 or visit www.jfpl.org/NJHistoryHome.cfm. The American Labor Museum/Botto House National Landmark located in Haledon, New Jersey is hosting the exhibit "Got Work? The New Deal/WPA in New Jersey," on loan from the Middlesex County Museum. Got Work? The New Deal/WPA in New Jersey presents a portrait of the experience of New Jersey's families and the Works Progress Administration programs during The Great Depression. The exhibit will be on display through August 29, 2015. The American Labor Museum is headquartered in the historic Botto House National Landmark, located at 83 Norwood Street, Haledon, NJ. It was the meeting place for over 20,000 silk mill workers during the 1913 Paterson Silk Strike. The Museum offers a free lending library, restored period rooms, changing exhibits, Museum Store, Old World Gardens, educational programs and special events. The museum's hours of operation are Monday through Friday 9:00 am - 5:00 pm. Tours are offered Wednesday through Saturday from 1:00 - 4:00 pm. For more information, call 973-595-7953, e-mail labormuseum@aol.com, or visit www.labormuseum.net. There's something for everyone to enjoy in the Morris County Historical Society's new exhibit, "Treasures from the Collection," now featured at Acorn Hall through September 1, 2015. See everything from clothing to documents, militaria to fine arts, and furniture to photography, and more in this treasure trove display from Morris County, and beyond. Highlights include heirlooms from notable local families such as the McEwans, the Condits, the Lindsleys, and the Bonsalls, and spectacular stickpins from the remarkable collection of MCHS Board Member Emeritus Learned T. Bulman. Pieces from across the country include an 1876 ball gown worn to the Centennial Celebration in Washington, D.C., an assortment of 19th-century U.S. flags, a scarab stick pin from the reign of Ramesses II, and various 19th-century weaponry and artifacts related to the Civil War. Compare earlier fashion trends to the haute couture Pucci-inspired mini-dress, circa 1960s. 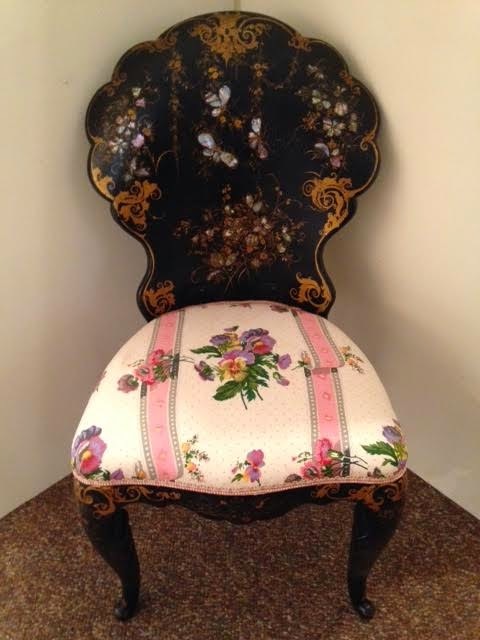 For the furniture aficionados, marvel at a Victorian-era papier-mâché chair, a mahogany Chippendale chair, and a Hitchcock-style chair from Morristown furniture maker, H. Frazee. Travel with ease to faraway Japan, and experience Asian art in the form of wood block prints and porcelain vases. Admission to tour Acorn Hall and to see the exhibit is $6 for adults; $5 for seniors; $3 for students, and free for children age 12 and under and MCHS members. To view the exhibit, only, is one half of the admission. Acorn Hall is open for tours on Wednesdays and Thursdays from 11:00 am - 4:00 pm, and on Sundays from 1:00 pm - 4:00 pm. 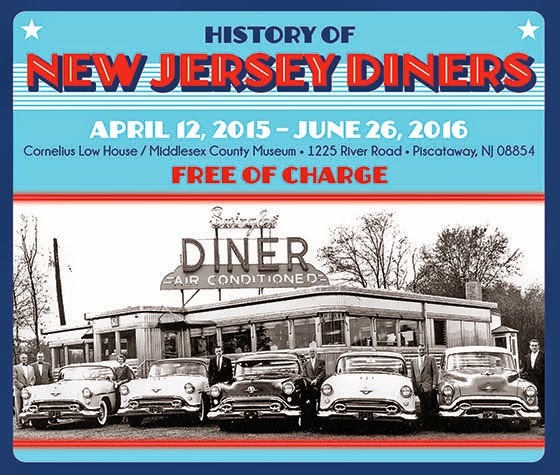 For more information, call the Morris County Historical Society at 973-267-3465 or visit www.acornhall.org. This historic exhibition at The Noyes Museum of Art of Stockton University revisits the work and play of life in the Pine Barrens. Industries of charcoal, glass, paper and iron once thrived in the Pines, while music and merrymaking filled the dance halls and stories of witches and the Jersey Devil abounded. The exhibition is a collaboration between the South Jersey Culture & History Center (SJCHC) and the Noyes Museum of Art. Admission to the museum is: Adults $5; Seniors (60 and older) $4; Students with ID $4; Stockton Students, Faculty, and Staff with ID Free; Members Free; and Children (6 and under) Free. The Noyes Museum of Art of Stockton University is located at 733 Lily Lake Road, Oceanville (Galloway Township), NJ. For more information, call 609-652-8848 or visit www.noyesmuseum.org/exhibitions.html. On August 2, the Hoboken Museum celebrated the opening of a new art exhibit in the Upper Gallery, "The Beadist: Artworks by Jan Huling," which will remain on view through Sunday, September 13. The recipient of a 2015 fellowship from the New Jersey State Council on the Arts, Huling produces unique works of art by applying intensely colorful beads in intricate patterns on various found objects that strike her fancy, from musical instruments to vintage toys to old globes. She is self-taught, drawing on her training and career as a product designer and textile artist and children's book author. She first stumbled into beadwork in 2001, after her sister showed her some Pez candy dispensers that she had decorated with beads. Jan thought it looked like fun, and tried her hand at gluing beads onto a kazoo. Her kazoo, and its equally colorful beaded box, were featured on a program on cable channel HGTV, and her beaded artwork became her full-time occupation. From kazoos, Huling moved on to beading other objects that struck her fancy--kewpie dolls, animal figurines, globes-things ranging in size from 3 inches to over 6 feet that she finds mostly at thrift shops and flea markets. Sometimes she combines items, such as an exotic taxidermy beetle and matchbox, in a beaded frame, titled "Forgiven." Her work is widely exhibited and she has cultivated a nationwide following of collectors, and happily embraces a description of her work in The New York Times as "oddball assemblages." She will visit the museum on August 30, 2015 at 4 :00 pm for an artist's talk. For a preview, visit www.janhuling.com. The Hoboken Museum is located at 1301 Hudson Street, Hoboken, NJ. For more information, call 201-656-2240 or visit www.hobokenmuseum.org. Macculloch Hall Historical Museum (MHHM) has partnered with the Canal Society of New Jersey (CSNJ) to present their traveling exhibit “Canals of New Jersey”. The exhibit was created in 1985 in part to commemorate the Society’s 25th anniversary. The display consists of panels that tell the story of New Jersey’s two towpath canals, the Morris and the Delaware and Raritan. In 1824, the Morris Canal & Banking Company was chartered to build a canal that would carry coal to developing markets along the eastern seaboard. The Morris Canal would pass through the heart of New Jersey’s iron district and provide the long-needed transportation system that would promote commercial activity and enable rustic settlements to grow into thriving industrial towns. The canal extended 102 miles from Pennsylvania, across varied terrain through New Jersey, ending at Newark. By the early 1900s the canal had become obsolete. Today, the Morris Canal Greenway, a partnership between local communities and the Canal Society of New Jersey, seeks to preserve the surviving historic remains of the canal, interpret canal sites, and offer recreational opportunities to the public. For the installation at MHHM the exhibit has gotten a facelift, with new titles and new art work. The CSNJ’s display is supplemented by objects including some from MHHM’s collection and information about Macculloch Hall founder George Macculloch who had the idea for the Morris Canal. In the early 1820s, George Macculloch had a vision of a waterway to connect the Delaware River to the Hudson River in Northern New Jersey. This exhibit in part celebrates Macculloch’s part in the vision, promotion, and impact that the Morris Canal had on New Jersey. The canal would become an engineering feat of its day, using locks and inclined planes to climb the elevation differences in the land. The canal was a technical marvel of its time and helped to spur the economy in New Jersey by allowing goods to reach further afield than ever before. The exhibit shares some of the stories of the workers and families who lived and worked on the canal, as well as other details about its construction using photographs and drawings, as well objects including model canal boats and images. The “Canals of New Jersey” exhibit will be on display in the second floor gallery during touring hours from March 15th through October 30, 2015. MHHM preserves the history of the Macculloch-Miller families, the Morris area community, and the legacy of its founder W. Parsons Todd through its historic site, collections, exhibits, and educational and cultural programs. MHHM is open for house and exhibit tours on Wednesdays, Thursdays, and Sundays from 1:00 - 4:00 pm. The last tour ticket is sold at 3:00 pm. Adults $8; Seniors and Students $6; Children 6 – 12 $4. Members and children under 5 are free. Macculloch Hall is located at 45 Macculloch Avenue, Morristown, NJ. For more information, call 973-538-2404 ext. 10 or visit www.maccullochhall.org. At Ellarslie, the City Museum of Trenton, the second floor exhibit features art, artifacts and memorabilia from the world-renowned John A. Roebling's Sons Company, makers of steel and wire rope, most famous for the wire cable used in the suspension bridge over the East River between Manhattan and Brooklyn - the iconic Brooklyn Bridge. The John A. Roebling's Sons Company, the largest employer in Trenton and a world leader in the construction of suspension bridges had its beginnings when John Roebling started making wire rope in 1841 in Saxonburg, Pennsylvania, and moved his factory to Trenton in 1848. His sons built the steel and wire mill and town of Roebling, NJ, in 1905. In 1953, the family sold the Trenton and Roebling plants to the Colorado Fuel and Iron Company (CF&I). CF&I closed the Trenton plants in 1973 and the Roebling, NJ, plant in 1974. As the largest employer in Trenton for many decades, John A. Roebling's Sons Company had a major impact on the city and its workers and citizens. It had an international reputation for wire and wire rope making and bridge building, and its wire was used in hundreds if not thousands of industrial, commercial and consumer products. The business was owned by four generations of the Roebling family over 112 years, a remarkable and rare achievement. John A. Roebling was the world's foremost builder of suspension bridges in the 19th century and his bridges spanned major rivers when people said it couldn't be done. His son Washington A. Roebling completed the most famous Roebling bridge, the Brooklyn Bridge, in 1883, and today it is an iconic national landmark. The Roebling Company built suspension bridge cables for many bridges over the next 80+ years, from Canada to South America, including the George Washington Bridge connecting New York and New Jersey and the Golden Gate Bridge in San Francisco. The Roebling Company manufactured wire rope for many other uses - elevators, cable cars, tramways, airplanes, shipping, mining, construction and ski lifts - and it made wire for electrical lines, telegraphs and telephones, wire cloth and screens, and pre-stressed concrete. The exhibit includes five large paintings from the Roebling Company's exhibit at the 1939 New York World's Fair depicting the Brooklyn and George Washington Bridges and interior factory scenes. These paintings are part of the museum's collection but are rarely exhibited. The exhibit was curated by Richard Willinger, Chair of the Museum Society's Collections Management Committee. Items are being loaned to the exhibit by the Roebling Museum in Roebling, NJ, and several individuals. Talks and a tour of remaining buildings of the Roebling complex in Trenton will be conducted by Clifford W. Zink, the foremost expert on the Roebling family and company who authored the book The Roebling Legacy. Ellarslie is located in Cadwalader Park in Trenton, NJ. Visit www.ellarslie.org for dates and times. 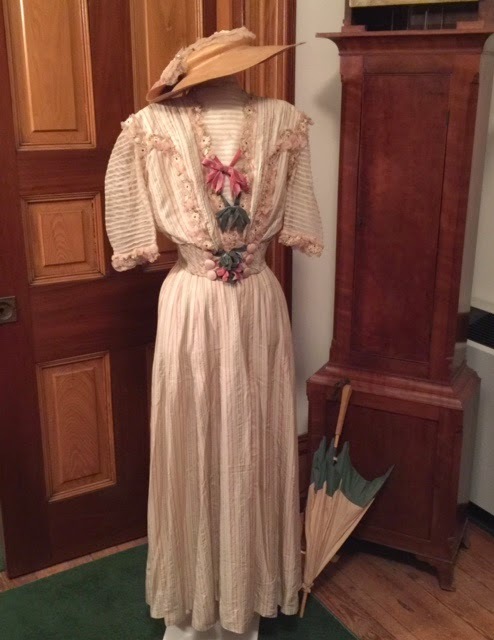 The Ridgewood Historical Society and the Schoolhouse Museum are pleased to announce their new exhibit, Hemlines, open through December 2015. This exhibit features women's hats, shoes, handbags, jewelry, furs, wedding attire, and fabulous dresses from 1900 to 1969. Hemlines will run through the end of July. The Schoolhouse Museum is open Thursdays and Saturdays from 1:00 - 3:00 pm and Sundays from 2:00 - 4:0 pm. Hemlines is a "must see" exhibit for anyone interested in fashion! The Schoolhouse Museum is located at 650 East Glen Avenue, Ridgewood, NJ. For more information, call 201-447-3242 or visit www.ridgewoodhistoricalsociety.org.